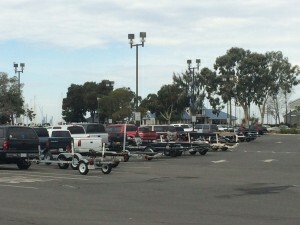 The Antioch Marina Boat Launch Ramp is located adjacent to the marina with a separate parking lot. A self pay station is located near the parking lot entrance. Launch Permits are $5 each and valid for 24 hours. You may purchase up to 3 permits valid for 72 hours maximum per visit. All vehicles with a trailer must pay the launch fee prior to launching your boat. Fuel is available at the Marina Fuel dock inside the marina entrance. Please place launch permits upright on the dash of your vehicle so they are easily visible. There is no fee to launch a small non-motorized water craft such as a kayak unless your vehicle has a trailer. Parking lot space is ample and well lit. The Antioch Marina offers an annual launch pass for $100 valid from January 1st to December 31st. You may purchase yours at the Marina Office. Please contact the marina for further details.